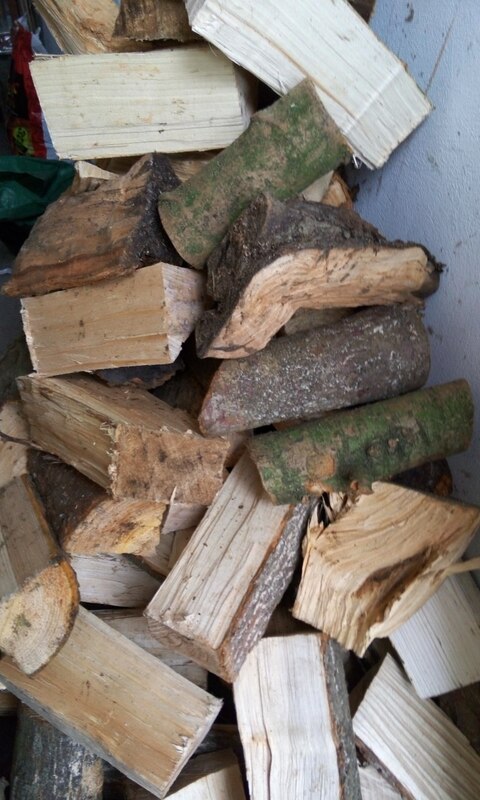 Moving a delivery of firewood yesterday made me realise how unfit I’ve become. This entry was posted in Health, House on 31/01/2016 by garymoore. The NHS is pretty good you know. We pay a bit of money every month (or other payday) and we get a decent standard of healthcare. Hopefully, most of us won’t have a lot of interaction with the UK health system until something breaks or we get a bit creaky. My second in command broke stuff before Christmas. She had a week and a bit in a temporary cast, had two x-rays and a scan, then a new (smaller) cast. Yesterday, she went to her (hopefully) final appointment at the fracture clinic (at the hospital at the top of our street), to have her cast removed. Only to be informed that her appointment was the previous day. So, since the fracture clinic is a weekly, Wednesday, thing, there’s an additional week in plaster. My broken partner has been a little evil following her experience of yesterday, although I can appreciate why she may not exactly be happy with the current situation. And I mean evil. This entry was posted in Health on 29/01/2016 by garymoore. Home from a couple of days in Kings Cliffe. Had a nice time there, caught up with Gordon (my second in command’s dad). And his cats, Tom Spanner and Jess. Sadly, I do not recall the name of the recently departed cat with the breathing problem. Anyway, the village has one pub. Yes, just one. A horrible thought, isn’t it. We may have spent an hour or two in the Cross Keys yesterday. Of relevance is the Â£2.50 a pint offer for January. Which, for a usually expensive pub, we found to be excellent value for money. Of course, it was important to support local businesses too, so we stayed longer than planned. Since my second in command is still broken, we were reliant on trains, so had an early lift into Peterborough this morning. Where we had breakfast. In the Draper’s Arms. And then there was a train to Durham. Yes, Durham. Rail maintenance meant that there was a bus from Durham to Newcastle. It’s nice to be home. Via Tilley’s, the Forth, the Town Wall, the Bridge Hotel and the Tuns, that is. 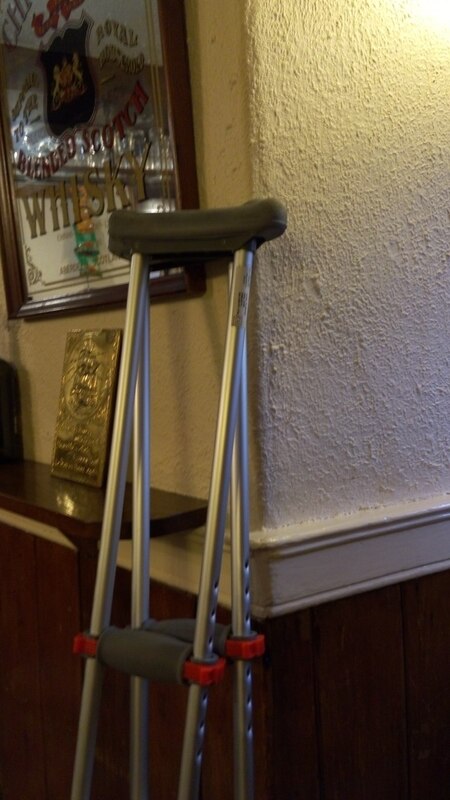 This entry was posted in Beer, Family, Pubs, Transport on 24/01/2016 by garymoore. This morning, at silly o’clock while waiting for a train, I observed a pigeon exhibiting unusual behaviour. 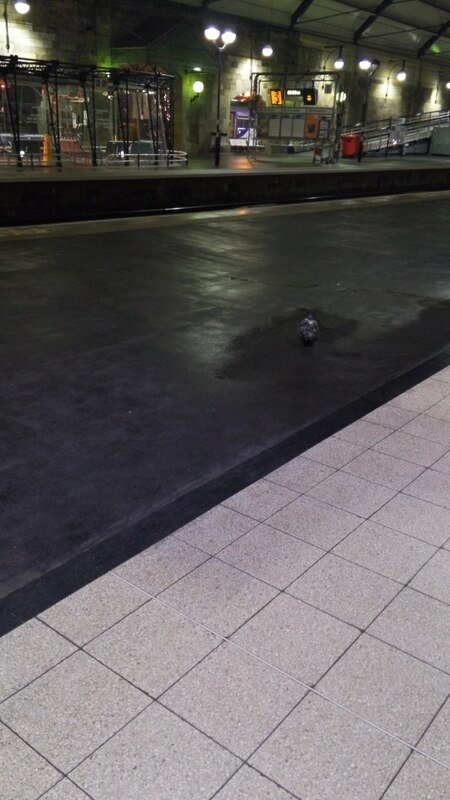 At first, it seemed that the bird was lying in a shallow puddle on the platform. But then I noticed that the puddle was being fed by a steady drip from the roof. And the pigeon had positioned itself under the dripping water. I felt compelled to take a picture, which sadly didn’t quite capture the event. 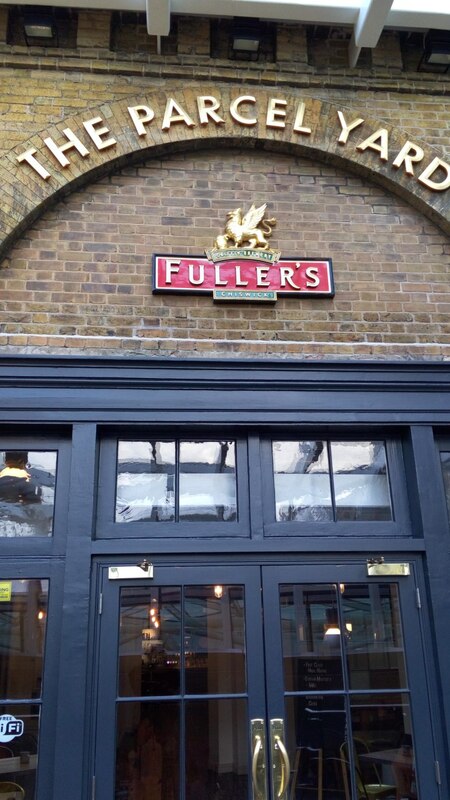 On my return journey, I had enough time for a pint in the Parcel Yard, the bar in Kings Cross station. It opened a while ago, but I’d not had a chance to call in previously. And I was impressed. It’s a huge improvement on the old station bar; it claims to be the largest in the country. While some of the salvaged fittings are a little over the top, I’d happily pass a couple of hours there. 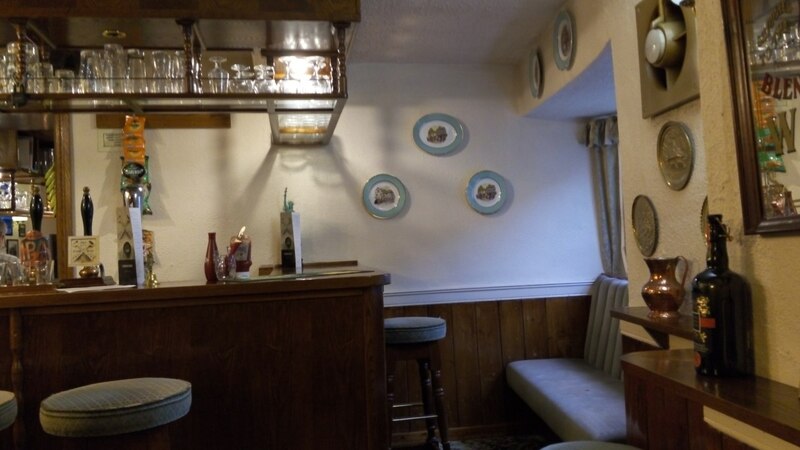 This entry was posted in Pubs, Wildlife on 19/01/2016 by garymoore. Death Pledge. Or, as most of us know it, mortgage. I know. I have an app(lication) on my tablet; it counts down the days/weeks/months to an event My phone’s Ubuntu, so it doesn’t do stuff like that. Anyway, to cut a long story short, I looked up my mortgage, or the amount remaining to be paid. Apparently, despite multiple divorces, I now have just twelve months left on the mortgage. Which means that my retirement countdown may also have begun. 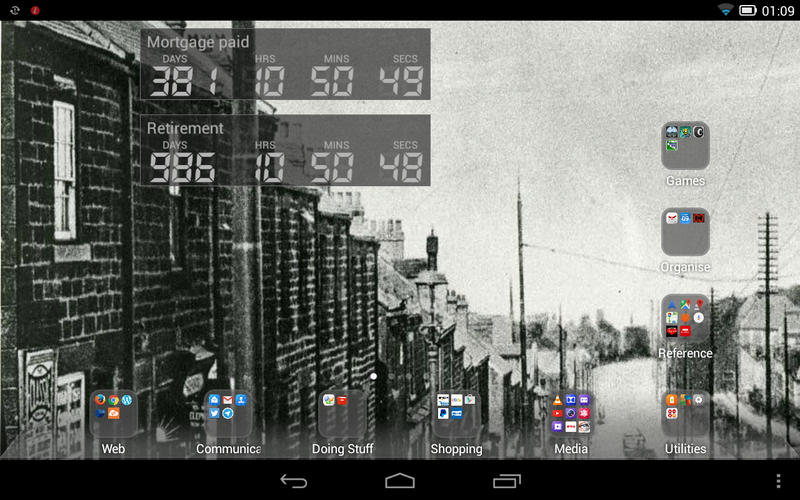 There may yet be adjustments, but I have early, approximate timescales. This entry was posted in House on 15/01/2016 by garymoore. 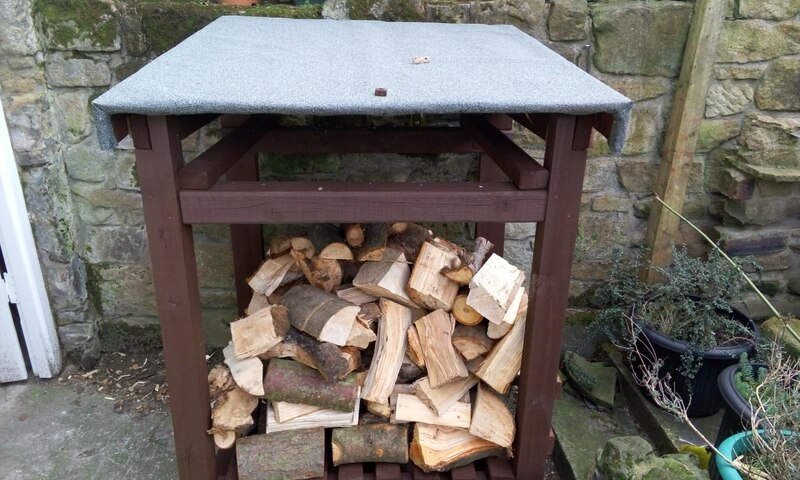 A broken significant other, combined with a cold spell, has led to a noticeable increase in our firewood consumption My working hours haven’t accommodated a firewood delivery, so Lidl’s stock of logs has been most welcome. And at only Â£3.29 a bag, they’re great value. We’ve bought three this week. This entry was posted in Health, House, Weather on 14/01/2016 by garymoore. While in the Dun Cow (the one in Bournmoor, not Sunderland) with old gentlemen the other night, I showed my companions a picture of Sara and Hoppity. This one. They were astonished to find that this has been a children’s TV programme. At first, they couldn’t remember it, but as soon as I mentioned Sara Brown, one of the gentlemen recalled the full name of the series. And, after he sang the first line of the theme, another joined in. Our youngest companion claimed not to recall the series, but he probably didn’t want to acknowledge his age (he’s certainly old enough to have been a regular viewer). And, there wasn’t anything else to watch at the time, since there was just the one channel. Or were there two? I must check. This entry was posted in TV, Weird on 10/01/2016 by garymoore. For a number of years, the BBC used to play clips from Eels songs when advertising future TV programmes. It’s been a while since they last used one though. Until now, that is. Over the past few days, the intro from the trouble with dreams has accompanied trailers for new programmes. This entry was posted in Music, TV on 06/01/2016 by garymoore. … another weary day year. This entry was posted in People, Vegetarian/Vegan, Work on 04/01/2016 by garymoore. Over the past few days, we’d been considering how to spend new year’s eve. We’d initially debated whether to make the trip to Peterborough and Charters, or stay local and go to the Bridge Hotel. After opting for the latter, my second in command’s recent injury forced us to reconsider. Her range, on crutches, was limited, so town wasn’t likely to be possible. But, a couple of days ago, a new cast made a real difference; her mobility is now vastly improved. So we settled on an evening in the Bridge, with perhaps a pub or two beforehand. We’d done pretty much the same thing the past two years and had enjoyed the atmosphere, including watching the midnight fireworks from the high level bridge. Unfortunately, on arriving at the Bridge, we learned that the band had cancelled at short notice, so the pub would close at ten. The Central would have been a decent plan B, but the walk across the Bridge (and back to find a cab) wasn’t realistic with a broken lady. So, after another drink in town, we caught a cab back to the Tuns. Their band (the Ska-toons) hadn’t cancelled, and we bumped into a some people we’d met when we were away a couple of months ago, so the evening ended well after all. 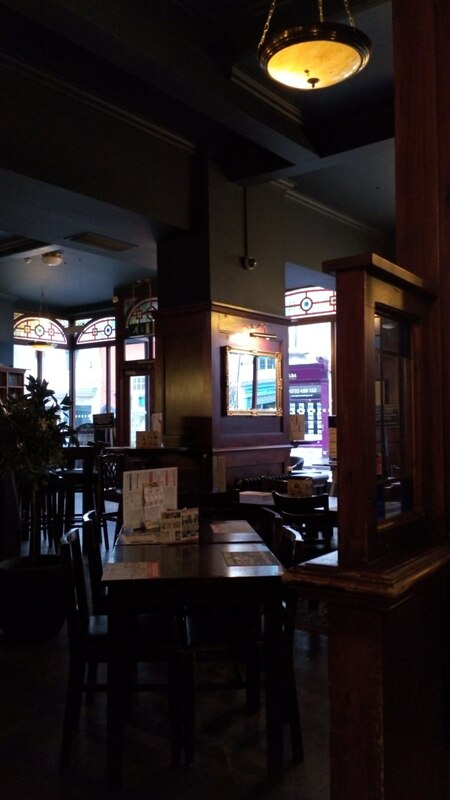 This entry was posted in Pubs on 01/01/2016 by garymoore.